Two Alang ship recycling facilities have received Statements of Compliance (SoC) verifying that the facilities are in line with the Hong Kong International Convention for the Safe and Environmentally Sound Recycling of Ships, 2009. The SoCs, which were issued by classification society ClassNK, were awarded to R. L. Kalthia Ship Breaking and Priya Blue Industries and mark the first time SoCs have been issued to ship recycling facilities in South Asia. Both shipbreakers are located in the state of Gujarat, India, home to the infamous Alang shipbreaking yards. Although the Hong Kong Convention has yet to enter into force, ClassNK says that Kalthia and Priya Blue have both carried out substantial improvements to their facilities in a bid toward safer and greener ship recycling, as well as developed the Ship Recycling Facility Plans required for certification according to the Convention. 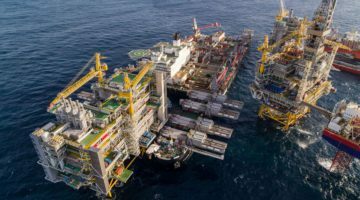 ClassNK reviewed the SRFPs prepared by Kalthia and Priya Blue and confirmed that their ship recycling processes follow their respective SRFPs in addition to conducting on-site inspections before issuing the SoC. The The Hong Kong Convention was adopted in May 2009 and is aimed at ensuring that ships that have reached the end of their operational lives do not pose any unnecessary risk to human health and safety or to the environment. The Convention will enter into force 24 months after the ratification by 15 states, representing 40% of world merchant shipping by gross tonnage and a maximum annual ship recycling volume not less than 3% of the combined tonnage of the ratifying States. So far Norway, Congo and France have all ratified the Hong Kong Convention, representing 1.86% of world tonnage, according to the IMO.